Subject: CONGRATULATIONS FROM THE MEMBERS AND STAFF OF STAATS LOTERIJ FOR YOUR WINNING!!! CONGRATULATIONS FROM THE MEMBERS AND STAFF OF STAATS LOTERIJ FOR YOUR WINNING!!! FROM: THE PROMOTION DIRECTOR,INTERNATIONAL PROMOTIONS DEPT. In view of the yearly sweepstake of the above Organization,we therefore bring to you notice that Staatsloterij International B.V has just concluded its final draws of it's periodical promotional program. An exclusive list of email addresses of individual and corporate bodies were picked by automated random computer search from the internet, serial number 5772-54 drew the lucky numbers 3-4-17-28-35-44 and consequently won in the First Category. It is my pleasure to inform you that your e-mail address attached to serial number 5772-54, lucky numbers 3-4-17-28-35-44 came up in the first dip, Reference number for your prize. This invariably means that you have emerged as the prize recipient in the first category of One Million Dollar ($1,000.000.00 ).Be informed that No tickets were sold while all participants were selected from a randon computing ballot system. 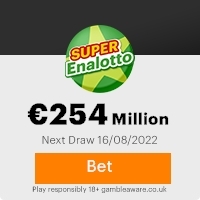 Email sweepstake is sponsored by a group of internet providers, corporate organizations and governmental parastatals in America, Europe and Asia. Please note all winning must be claimed within 3 weeks from the date of this notice. This email and any files transmitted with it are confidential and intended solely for the use of the individual or entity to whom they are addressed.If you have received this email in error please notify or send it back to:staatsclaimdept@aol.com , any disclosure, coping, distribution or any action taken or omitted to be taken in reliance on it is prohibited and may be unlawful. Previous: WINNERS NOTIFICATIONS ... SION.Fresh ScamsNext: !! !CONGRATULATION YOU ... 7!!!. This Email with the Subject "CONGRATULATIONS FROM THE MEMBERS AND STAFF OF STAATS LOTERIJ FOR YOUR WINNING!!!" was received in one of Scamdex's honeypot email accounts on Thu, 19 Apr 2007 09:20:12 -0700 and has been classified as a Generic Scam Email. The sender shows as "van henk" <vanhenk.slj48@hotmail.com>, although that address was probably spoofed. We recommend that you do not attempt to contact any persons or organizations referenced in this email, as you may expose yourself to scammers and, at the very least, you will be added to their email address lists for spam purposes.